his is a 1955 Ford Sunliner convertible with the original 272 cu in V8 engine, dual exhaust, 3 speed manual transmission on the column, with dummy spot lights, and a continental kit. Very nice older restoration of a very solid straight rust free convertible, with super nice undercarriage. Has been converted to 12 volt electrical system. This is a car to get in and cruise. Very good running and dependable. 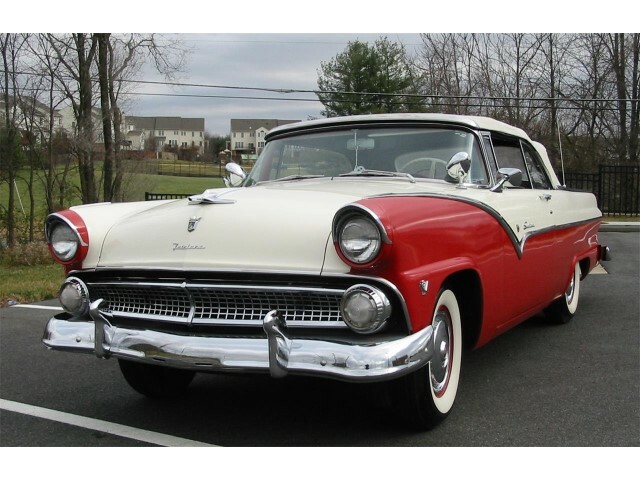 Message: Thought you might be interested in this 1955 Ford Fairlane.